Determining the best hiking shoes to meet your vacation needs is essential to guaranteeing your health and enjoyment while hiking. Even though I do not believe hiking shoes are your best bet for footwear in Glacier National Park, for some hiking shoes meet all your vacation goals. The question is, are hiking shoes for you? 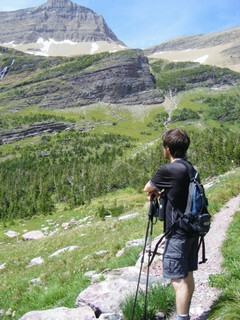 Do you plan to hike long trails of up to 10 miles each day? Do you care if you cannot escape tourist crowds? Will you be backpacking at all? If you answered no to all of the above questions, then read on because you need to learn how to choose the best hiking shoes. If you answered yes to any question, hiking shoes are not for you and you should learn about purchasing Hiking Boots. What Is a Hiking Shoe? 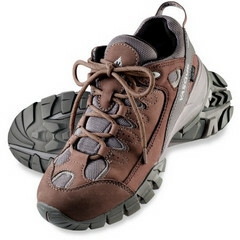 Hiking shoes are shoes designed to be used in a wide-array of activities. Also known as cross-trainer shoes, they provide enough ankle support, traction and breathability for well-maintained trails and all-around outdoor activity. They are more durable than a sneaker and incredibly comfortable. However, you cannot wear hiking shoes with a heavy pack, or you WILL break an ankle. Breathable – If a hiking shoe isn’t breathable, what’s the point? I believe that Vasque hiking shoes are some of the best on the market. In particular, I suggest the Vasque Mantra GTX . By far, these are the best hiking shoes on the market and when I reinvest in a new pair, I will be purchasing Vasque hiking shoes (UPDATE: Nevermind! 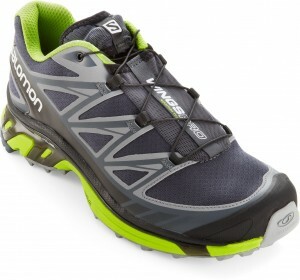 They are good shoes, but you gotta check out what I wrote about the Salomon’s below. Vasque shoes are good, but don’t hold a candle to Salomon). 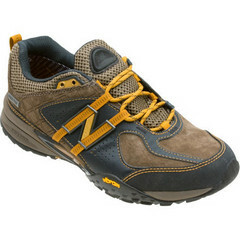 These shoes are rugged, durable, water resistant, flexible and designed for any outdoor activity. Most importantly, they have rubber outsoles with specific lugs designed for the best stability and traction necessary for hiking in US National Parks. While the Elios is a fine cross-training shoe, if you are planning to purchase a hiking shoe, the Salomon XA provides the same benefits and more:Besides Vasque, I believe Salomon makes the best hiking shoes on the market. While many outdoor equipment reviewers would be quick to nominate the Salomon Elios Hiking Shoe as the best Salomon hiking shoe, my opinion is different. Best Breathability – No hiking shoe on the market has the same kind of breathability as the Salomon XA. I own the Wings Pro (the XA is the newer model), and I 100% vouch for these shoes. Again, I personally own the Salomon Wings Pro and love them. In terms of a hiking shoe, they don’t get much better than them. The only drawback is that they are not 100% waterproof hiking shoes. Learn more about the Salomon Wings Pro (the shoes I own) or the newer model, the Salomon XA Pro. I’ve been going into the wild lately to film real outdoor folk about their gear. To show you how awesome these Salomon shoes are that I talked about above, you can follow this link to see our full Salomon XA Pro 3D review. It is always possible to find discount hiking shoes. All it takes is persistence and knowledge. First, go to your local store and try on each of the above mentioned best hiking shoes. Write down your size and come home. Bookmark the site or download a nifty gadget to notify you whenever a new item is put up on the site. Steep and Cheap is the best site to find discount outdoor equipment, including discount hiking shoes. Every 20 minutes a new item goes online, sometimes discounted as much as 80% and stays on for 20 minutes or until it is sold out. Bottom line – Steep and Cheap is awesome!! NEW UPDATE!!! – Have you heard of TheClymb? It is a free site (you have to join as a member, but membership is free) and they offer hiking & camping gear for 40-60% off in these things known as ‘Flash Sales’. The sale lasts around 24-48 hours, or until everything is sold out. You can really get stellar deals there and I highly recommend becoming a member. Learn more about TheClymb here. 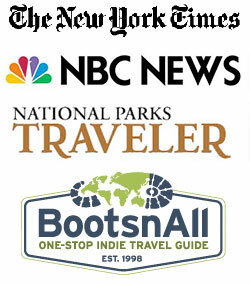 Best Hiking Boots: Advice on purchasing the best hiking boots to meet your vacation needs. Keep Your Feet Dry: Having waterproof hiking boots is vital in Glacier National Park. Learn how to waterproof your hiking boots and the best hiking boots that are already waterproofed. Leather Hiking Boots: Educate yourself on technological advances and why you should never purchase leather hiking boots. Men & Women Hiking Shoes: Read my recommendations on the best men’s hiking shoes and best women’s hiking shoes.